In case you couldn’t tell from our roundup of February’s best beauty launches—or our latest logo design—we’re totally crazy about facial oils right now. Not only do they make killer cleansers, moisturizers, and spot treatments, but they’re beneficial for every skin type, from dry and sensitive to—yes, really—oily and acne prone. Keep reading to learn how to read a face oil label like a pro, and you’ll be swiping right on your perfect match in no time. The first thing to look for, says Assaf, is an oil that’s cold-pressed, unrefined, and organic—for all the same reasons you’d seek those things out in a kale/apple/lemon blend. “Cold-pressed oils have 700 percent more bioactive compounds than those conventionally extracted with heat,” she says, adding that it’s important to go organic to avoid pesticides. To ensure those clean and potent ingredients stay that way, look for oils bottled in dark glass. “Exposure to light and heat will damage the oil,” Assaf explains. Not sure if an oil is unrefined? When in doubt, sniff it out. 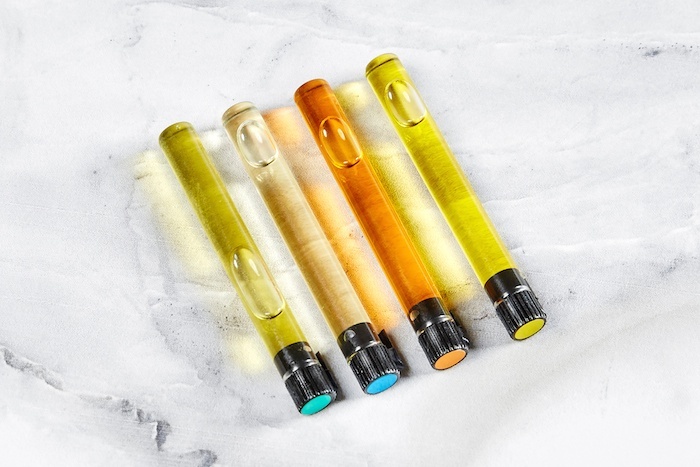 “A lot of oils say they’re organic, but if the color is really light and you can’t smell the oil, it’s likely refined and you’re losing the majority of the benefits,” says Assaf. “Also, if the oil has an expiration date of five years, you know it’s not unrefined.” Yes, that means you should be reading the labels on your beauty bottles like you do your almond milk. Those with oily skin should opt for rosehip or jojoba, while dry skin is best served by passion fruit seed or marula oil. “Once you start layering you have to think about how all of the ingredients are interacting,” says Assaf, who notes that unfavorable interactions can cancel out each individual product’s positive effects. That includes sunscreen, the healthy girl’s daily staple. The good news: Certain single-ingredient oils, like Raw is Everything’s raspberry seed Antioxidant Treatment ($45), may offer serious UV protection and can be used on their own to both moisturize and protect. Although it’s not FDA-approved like a traditional sunscreen, Assaf cites a scientific journal article that indicates raspberry seed oil could have a natural SPF of 30 to 50, and carrot seed oil could have a natural SPF of 38 to 40. If it saves us a minute in the morning, we’ll take it. You might think the more oils in a blend, the better, but Assaf stresses that three or less is usually best. “It’s a question of dilution,” she says. 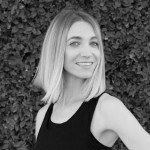 “When you think about a product with, say, 22 different oils in it, what’s the majority made up of?” She notes that long ingredient lists can also prove problematic for sensitive skin. “If you have an allergic reaction to a product and there are 10 ingredients in it, you have no idea what you’re allergic to,” she says. “Over 50 percent of women claim they have sensitive skin, so this is a huge issue.” If that’s the case for you, she recommends choosing a single oil and using it in isolation for two weeks to find out how it impacts your skin. And If it doesn’t work for you, drop it like a bad dating app and move on to the next one. Now that you’re one step closer to meeting your skin oil soulmate, check out this brilliant, mess-free trick for applying it. Next up: switching to a cleansing oil?